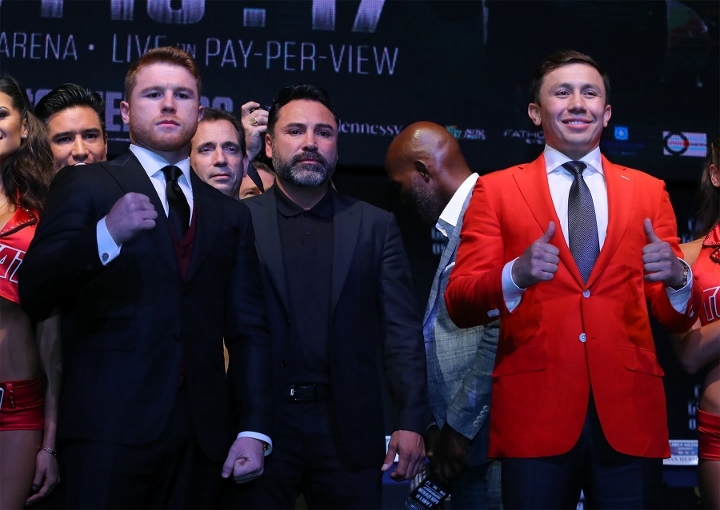 Abel Sanchez, trainer for WBC, IBF, WBA, IBO middleweight champion Gennady Golovkin (37-0, 33 KOs), does not want his fighter to allow Saul "Canelo" Alvarez (49-1-1, 34 KOs) to last the full twelve round distance. Canelo will challenge Golovkin on September 16th at the T-Mobile Arena in Las Vegas. Golovkin and Canelo are both coming back from big decision wins. Golovkin won a tough twelve rounder over Daniel Jacobs in March, while Canelo battered countryman Julio Cesar Chavez Jr. over twelve rounds in May. The upcoming bout will be Golovkin's first contest in Las Vegas. Canelo on the other hand, has fought in Las Vegas numerous times. It will be Canelo's tenth bout in the city - and some feel the boxer is given special privileges when competing on Las Vegas soil. In 2013, Canelo was dominated by Floyd Mayweather - and one judge still managed to score the bout a draw, 114-114. Then 10 month later he faced Erislandy Lara - and the contest was very close with Canelo winning a split decision - and some felt Lara may have won - but one judge saw Canelo a 117-111 winner. Sanchez admits that a controversial decision is on his mind - which is why he wants Golovkin to get the knockout. "You have to worry about that, but knowing [what has happened with Canelo's fights in the past] - it's up to us not to allow Canelo to make it out of twelve. If we let this happen to us, it's our fault," Sanchez told ESPN Deportes. The contest is the biggest in the career of Golovkin, and the ranks second for Canelo - behind his bout with Mayweather. Both of them believe the winner of the contest should be recognized as the best pound for pound fighter in the sport. Currently WBA, IBF, WBO light heavyweight champion Andre Ward is recognized by most as the best boxer in the sport, pound for pound. Golovkin detractors are so petty. :lol1: What a bunch of betas. :lol1::lol1::lol1: I certainly missed this.